Over the past several weeks, California has been gripped by two of the most deadly forest fires in its history: the Camp Fire north of Sacramento and the Woolsey Fire in Ventura and Los Angeles counties. At last count, the toll of this disaster includes 76 dead and hundreds missing, the destruction of nearly 10,000 homes, and unhealthy air quality—now called the “dirtiest in the world”—throughout the San Francisco Bay Area, leading to the postponement of many local events, including moving the “Big Game” between Cal and Stanford from November 17 to December 1. Local variables have transformed California far more dramatically than climate change. 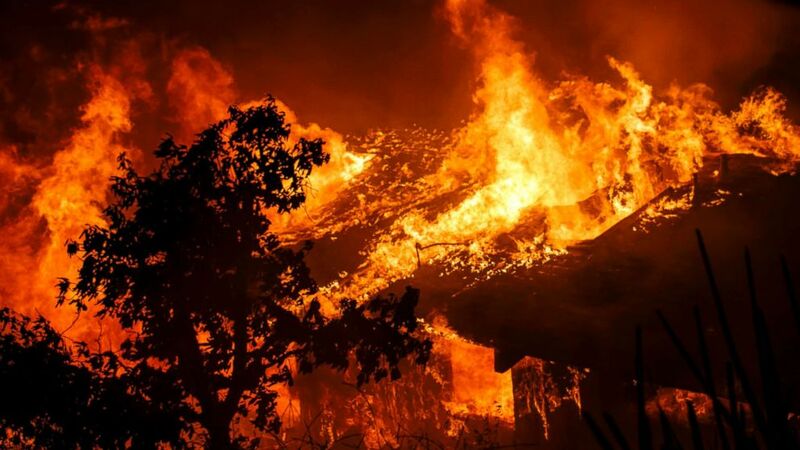 Thanks to a large influx of new residents to California in recent years, new homes have been built close to the forests, as happened in the now torched town of Paradise, where the many new homes burnt to the ground were quite literally in harm’s way. On the forest floor, as explained in the Wall Street Journal, an accumulation of dead wood, coupled with too much new growth, stymied the efficient growth of healthy trees that are better able to resist fires. I understand the argument being made by the author, but unless I missed it he never brings up the goals of government forestry vs. the goals of private forestry. The latter's goal's is the production of lumber, the former's is the preservation of habitat, etc. I am not saying governments' management of forests is being done correctly, or even well, but the author should have at least addressed how the different goals can affect or even justify the outcome or intensity of certain forest fires. The forestry department's ***Fire Suppression*** philosophy DISTORTS the habitat, rather than preserves it. The government protects forest just like they protect your freedom. The habitat functions with regular fires to clear the way for new life. The government suppresses the regular fires but then doesn't clear the way. Between harvesting trees and controlled burns the role of natural fire could be simulated in a manner that is better for people and better for the habitat than what government is doing.